North East Healthy Communities is the Primary Care Partnership that represents the local government areas of Banyule, Darebin and Nillumbik. The members of North East Healthy Communities represent a broad range of health and human service agencies from the local community committed to reducing preventable illness and harm. 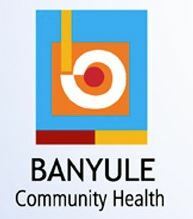 Banyule Community Health is the auspice organisation and as such employs North East Healthy Communities staff. Please quote in application: Project Officer (Identifying and Responding to Family Violence) via Pro Bono Australia.